KATHMANDU (AFP) - Climbers at the top of Mount Everest, the world's highest peak, will now be able to make video calls and surf the Internet on their mobile phones, a Nepalese telecom group claims. Ncell, a subsidiary of Swedish phone giant TeliaSonera, says it has set up a high-speed third-generation (3G) phone base station at an altitude of 5,200 metres (17,000 feet) near Gorakshep village in the Everest region. Ncell, a subsidiary of Swedish phone giant TeliaSonera, says it has set up a high-speed third-generation (3G) phone base station at an altitude of 5,200 metres (17,000 feet) near Gorakshep village in the Everest region. "Today we made the (world's) highest video call from Mount Everest base camp successfully," Ncell Nepal chief Pasi Koistinen told reporters in Kathmandu on Thursday. "Today we made the (world's) highest video call from Mount Everest base camp successfully," Ncell Nepal chief Pasi Koistinen told reporters in Kathmandu on Thursday. "The coverage of the network will reach up to the peak of the Everest," he added. 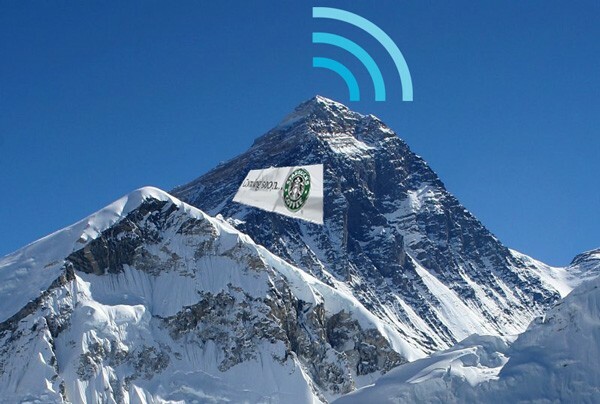 "The coverage of the network will reach up to the peak of the Everest," he added. Climbers who reached Everest's 8,848-metre peak previously depended on expensive and erratic satellite phone coverage and a voice-only network set up by China Mobile in 2007 on the Chinese side of the mountain. Climbers who reached Everest's 8,848-metre peak previously depended on expensive and erratic satellite phone coverage and a voice-only network set up by China Mobile in 2007 on the Chinese side of the mountain. The installation will also help tens of thousands of tourists and trekkers who visit the Everest region every year. The installation will also help tens of thousands of tourists and trekkers who visit the Everest region every year. "This is a great milestone for mobile communications as the 3G high speed internet will bring faster, more affordable telecommunication services from the world?s tallest mountain," said Lars Nyberg, chief executive of TeliaSonera, which owns 80 percent of Ncell. "This is a great milestone for mobile communications as the 3G high speed internet will bring faster, more affordable telecommunication services from the world? S tallest mountain," said Lars Nyberg, chief executive of TeliaSonera, which owns 80 percent of Ncell. The 3G services will be fast enough to make video calls and use the Internet, said the company, which also claims the world's lowest 3G base at 1,400 metres (4,595 feet) below sea level in a mine in Europe. The 3G services will be fast enough to make video calls and use the Internet, said the company, which also claims the world's lowest 3G base at 1,400 metres (4,595 feet) below sea level in a mine in Europe. A total of eight base stations, four of which will run on solar power, have been installed in the Everest region with the lowest at 2,870 metres (9,400 feet) at Lukla, where the airport for the area is situated. A total of eight base stations, four of which will run on solar power, have been installed in the Everest region with the lowest at 2,870 metres (9,400 feet) at Lukla, where the airport for the area is situated. Company engineers braved low temperatures and winds to set up the infrastructure. Company engineers braved low temperatures and winds to set up the infrastructure. Mountaineers hailed the launch as ambitious and helpful. Mountaineers hailed the launch as ambitious and helpful. "The erratic and expensive satellite connection that many times does not work for days will be replaced with this service, making it possible for all climbers to keep in touch with their organisers and family," said Ang Tshering Sherpa, a member of the International Mountain Protection Commission. "The erratic and expensive satellite connection that many times does not work for days will be replaced with this service, making it possible for all climbers to keep in touch with their organisers and family," said Ang Tshering Sherpa, a member of the International Mountain Protection Commission. Despite the installation in Everest, telecom services cover less than one-third of the 28 million people of Nepal, one of the poorest countries in the world. Despite the installation in Everest, telecom services cover less than one-third of the 28 million people of Nepal, one of the poorest countries in the world. TeliaSonera said it planned to invest 100 million dollars in the next year to ensure that mobile coverage increases to more than 90 percent of the Himalayan nation's population. TeliaSonera said it planned to invest 100 million dollars in the next year to ensure that mobile coverage increases to more than 90 percent of the Himalayan nation's population. The 3G network on Everest puts TeliaSonera ahead of state-controlled Nepal Telecom, Indian-owned United Telecom and China Mobile. The 3G network on Everest puts TeliaSonera ahead of state-controlled Nepal Telecom, Indian-owned United Telecom and China Mobile. Around 3,000 people have climbed to the Everest summit since Edmund Hillary and Tenzing Norgay became the first people to conquer the peak in 1953. Around 3,000 people have climbed to the Everest summit since Edmund Hillary and Tenzing Norgay became the first people to conquer the peak in 1953.